Over the past two games, the No. 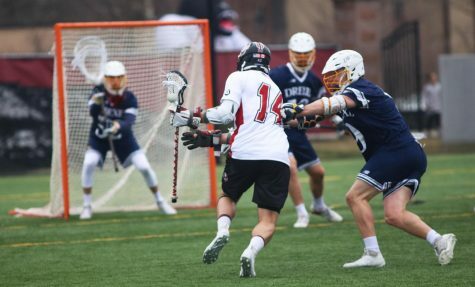 4 Massachusetts men’s lacrosse team hasn’t waited long to pounce on the opposition. 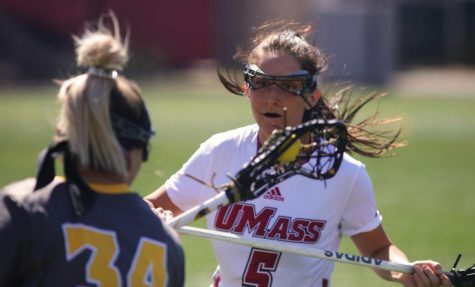 From the opening whistle, UMass (6-0) looks in mid-game form, jumping all over its competition in the first minutes of play to force the opposite side to play from behind. 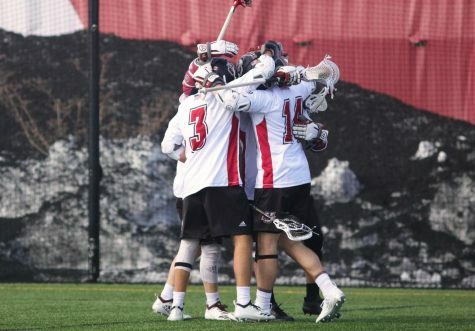 In its victories over Hartford and Albany, the Minutemen have dominated the opening quarter by the tune of 10-2, including 5-0 runs to kick off those games. 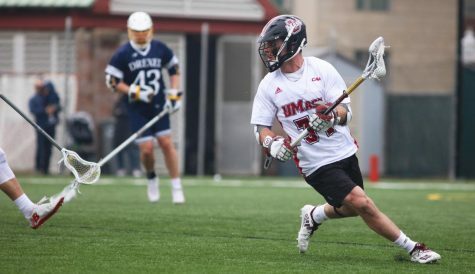 UMass coach Greg Cannella attributes the team’s fast starts to its shooting ability. 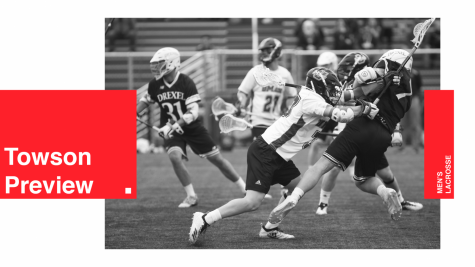 The Minutemen have fired 26 shots in the first quarter of the past two games, with 16 going on-goal and 10 finding the back of the net. In the opening minutes, UMass hasn’t allowed the opposition to get comfortable. Over the past two games, the Minutemen have stormed out of the gates and tallied the first goal of the contest within the first 75 seconds of play. 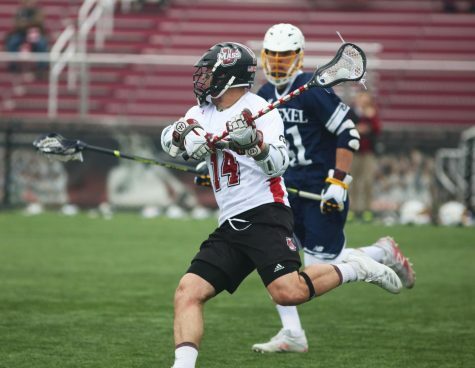 It took just 1:03 for Ryan Izzo to put UMass up early against Hartford and 1:11 for Anthony Biscardi to kick off the scoring barrage against Albany. “That’s the guys being able to make plays out there, which is great,” said Cannella. With a tough test looming this Saturday at No. 16 Penn State, getting off to a fast start will be critical in order to stretch its unbeaten record to 7-0. The Minutemen have had no problems on the road this season with their 3-0 mark away from Garber Field. However, asserting themselves early on will show the Nittany Lions that the team is ready to play and prevent its hosts from seizing momentum. 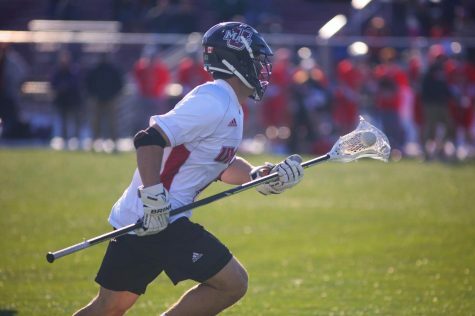 “Especially when you go on the road, you want to get off to a good start and make sure the other team knows that you’re there for a game so it’s very important,” said Cannella. 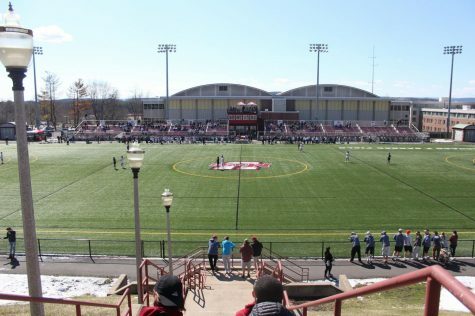 But as is the nature of college lacrosse, momentum can swing in a matter of minutes. Maintaining control of a contest has been a particular strong point for UMass after its dominating first quarters. After hopping out to a 5-0 lead against Hartford last Saturday, the Hawks responded with three straight goals of their own to get right back into the game at 5-3 with 11:55 remaining in the first half. From there, it was all Minutemen. Eight straight goals lasting from the final 11 minutes of the first half to the first 11 minutes of the second half put the game out of reach, 13-3. It was a similar story against Albany on March 6. Holding a 10-2 lead at the break, the Great Danes kicked into gear, netting two of the first three goals of the second half. 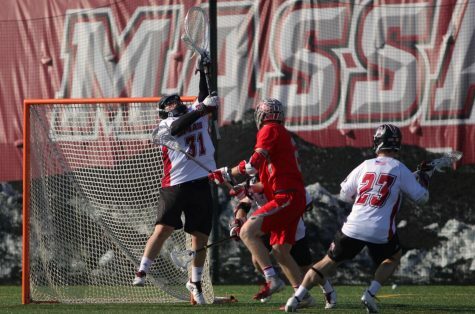 But the Minutemen kept control of the contest, scoring six of the final nine goals in their rout of Albany, 17-7. 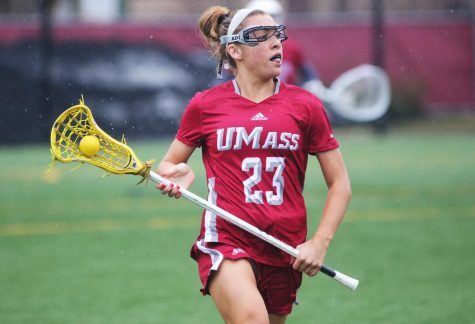 Cannella knows just how important it is for UMass to keep its foot on the gas pedal and not get caught up watching the scoreboard. “Regardless if you get off to that great start or you don’t get off to a great start, you still have to keep playing and if you don’t, you’re [going to] wind up losing either way,” he said. Going into University Park, Pa., and earning a win over PSU will be no easy task. And while jumping out to a hot start would help, Cannella knows his team will have to play the entire 60 minutes to come away with a victory. “If you’re up five or down five, you still have to play 60 minutes so that’s what it’s going to be about this weekend,” he said. Stephen Sellner can be reached at [email protected] and followed on Twitter @MDC_Sellner.